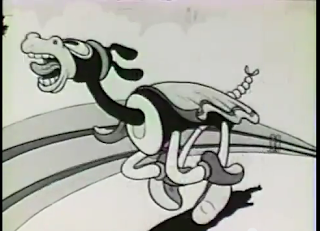 Horse Cops (Van Beuren, 1931) is one weird cartoon. 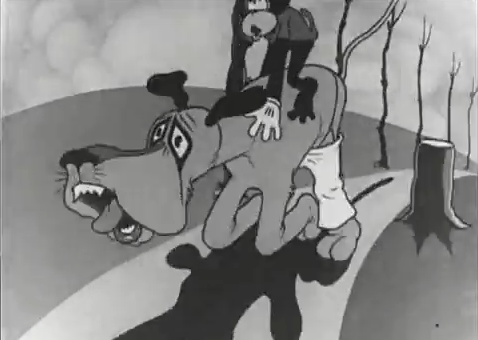 It's the only fable/VB cartoon to give Director credit to John McManus, who'd been at fables since the Terry era. Most interesting though, is that the last minute appears to have been farmed out to his brother in law, Les Elton. It even seems to include the same voice actor who did the Yiddish monkeys in "Monkey Doodle". My guess: this was some kind of contractual obligation that VB had to turn out quickly, explaining the short run time as well as the odd credits.